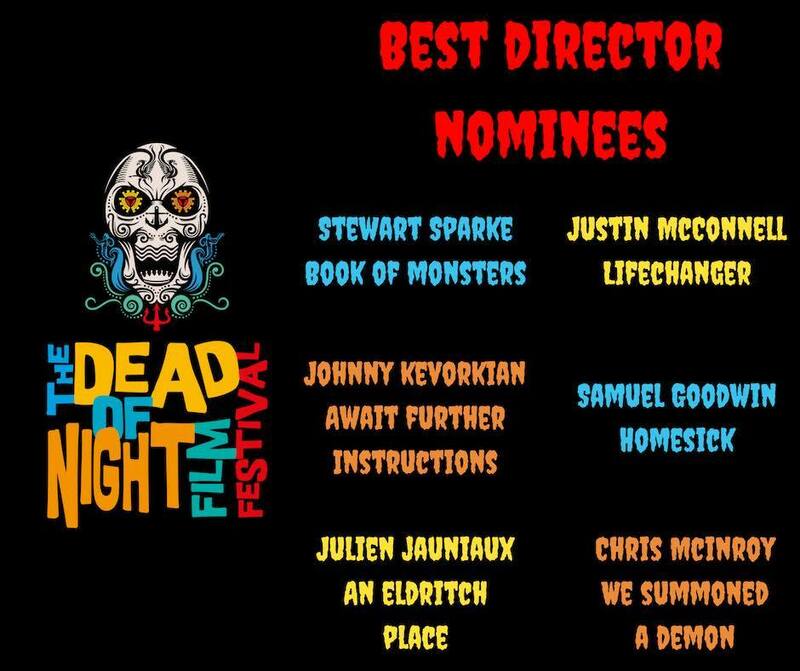 Book of Monsters has been Nominated for Best Feature & Best Director at The Dead of Night Film Festival 2018. The festival took place in Liverpool UK in October 2018 at Make Studios. We are pleased to announce that Book of Monsters won the award for Best International Feature at the Spooky Empire Film Festival 2018! Director Stewart Sparke and Lead Actress Lyndsey Craine were in attendance for the screening and to receive the award. Spooky Empire's Horror Film Festival had an incredible turnout, and we can’t thank the attendees and filmmakers enough who made it so. We also wanted to thank our sponsor ihorror.com. Some of the highlights included; Bill Moseley introducing our late night screening of Crepitus and staying until 1:30 in the morning to do a Q & A with the filmmakers, Actress Lyndsey Craine explaining how fun it is to kill Monsters (puppets), Dublin Filmmaker Damian Draven flying out all this way to share his love of Edgar Allan Poe and screen his adaptation of The Raven, and first time director; eighty year old (that’s not a typo) Tony Schweikle telling our audience it’s never too late to follow your dreams. We also wanted to thank our amazing panelists. Visual Effects Producer Dean Lyon, Producer Lou Simon, Author and Filmmaker Jacqueline Journey, Director Brendan Rogers, Producer Alea Figueroa, Composer Karl Anderson, as well as Filmmakers Brian Rosenthal, Dirk Sholar, and Brian Mills. Dark Rift Film’s Book of Monsters has been nominated for Best Feature Film, Best Actress (Lyndsey Craine) and Best Practical FX at PDXtreme - Portland Underground Film Fest 2019. Directed by Stewart Sparke and written by Paul Butler, Book of Monsters is a horror comedy feature about a group of girls who must fight off a horde of monsters at an eighteenth birthday party.